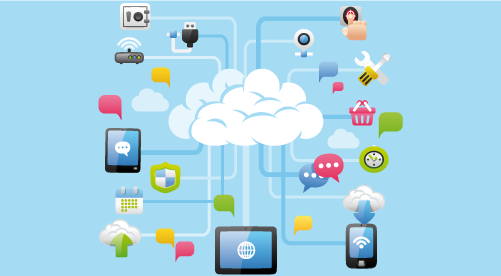 The concept of cloud computing is spreading in the digital world like wildfire. There are various reasons why the cloud computing industry has finally reached maturity. One of them revolves around the pressure being applied on CIOs and IT pros, who are now looking towards the cloud to solve some of their financial issues. There is something undeniably alluring about providers who are determined to manage all back-end issues on behalf of their clients. In addition to this, the costs for cloud computing services are affordable, to say the least. The only problem is that there is a plethora of cloud providers and a proliferation of applications and services that can be virtualized. Of course, all companies claim they are the best, even if they’re only hoping to rip off a client or two. For organizations that have never had any contact with cloud services, the sheer abundance of providers can be extremely confusing. For this purpose, we have decided to create a short guide of cloud computing companies worth following. But before we get down to business, let’s take a closer look at what these companies should have in common and what services make them unique. In order to qualify as cloud providers, there are a few requirements that companies must meet. First of all, a respectable cloud computing company must offer information technology as-a-service, regardless of form, which can be accessed online. The company’s job is to maintain its infrastructure in working condition and deliver promised services. In addition to this, cloud computing providers must be able to scale up or down a customer’s service usage, in order to limit how much of the service the client may actually use. Lastly, companies should be able to provide a large level of freedom, or ‘self-service’ to its clients, through an application programming interface (API). The quality of self-service: customers generally interact with a company’s services through a web-based application. Alternatively, there are a few desktop applications which provide extended capabilities. Regardless of the form, the cloud platform must be easy to control and intuitive. Type of IT service offered: A major aspect that helps differentiate between companies is the type of service offered (fundamental, storage, computing, network resources etc.). 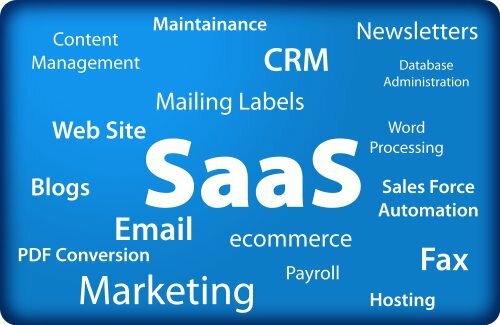 They are generally categorized by Infrastructure (IaaS), Service (SaaS), Platform as service SaaS) and software as service. Each category offers a unique set of features designed to cater to a customer’s needs. Cloud Computing Architecture: Resiliency and scalability are essential. For example, a company that has multiple, geographically dispersed data-centers will provide its users with more up-time and also encounter fewer technical difficulties. With these things in mind, let’s take a look at some of the world’s best cloud computing companies. We will start with a quick list of new-and-upcoming companies, tech titans that have already established themselves in the industry, and a few other names sorted according to the type of service they offer. When people think about the dawn of cloud computing, the first name that comes to mind is Salesforce.com. This company invented the concept of SaaS (software-as-a-service) in the cloud industry. Today, it stands among the largest cloud computing companies, which offer cloud-based customer relationship management, as well as software. LinkedIn may be a social network at its core, but it offers some very interesting cloud-based features. Its primary audience consists of business professionals. For this purpose, it has created cloud-based recruiting software to help them with the hiring process. Are you in need of human resources or finance software, but don’t want to install it on your computer? Workday offers interesting cloud-based HR and finance software including IDG reports, Gartner reports (market clocks for financial management), etc. Another company that offers stellar enterprise, accounting, customer and resource management software through the cloud is NetSuite. Red Hat is a rather controversial name on our list because it doesn’t actually use its own data centers. The company relies on Amazon’s AWS but it’s worth mentioning because it made it easier for Linux users to introduce their apps on the Amazon marketplace. The company is a direct competitor to Heroku and is used to create apps in Ruby, PHP, Python, Java and Perl. The best thing about Red Hat is the fact that it is free. Google is undoubtedly one of the biggest contenders on today’s cloud computing marketplace. There are two major services that deserve a mention: Google Drive and Google Cloud Storage. The two are extremely different. The first is recommended for personal users or small businesses (they also offer business plans) and provides great features, including free tools, storage & real-time updates, while the latter was designed for developers and enterprises. Rackspace is one of the most interesting cloud providers out there, which is also leading the coalition for free cloud software. Rackspace owns OpenStack, a brilliant open source solution for building new clouds. The software competes with the likes of Citrixs CloudStack or VMware’s VCloud. 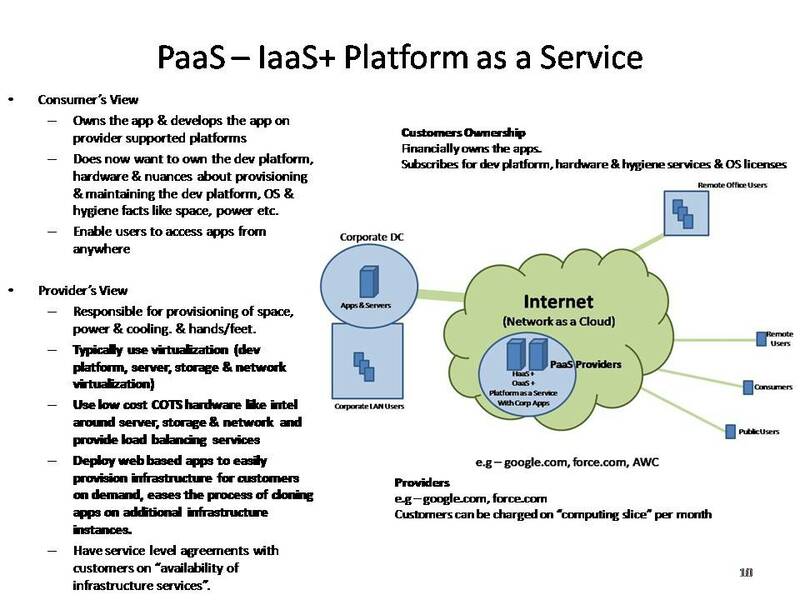 Insteand of paying VMware for software it decided to partner up with NASA after it released cloud software of its own. Microsoft may not have been one of the pioneers of cloud computing but it has definitely made some useful contributions to the industry. Microsoft’s Azure has already become the go-to place for millions of developers. Azure offers plenty of interesting features including streaming videos, cloud freebies and enterprise apps. As far as price goes, Microsoft has some of the best plans on the market right now. I’m not the biggest fan of Amazon, especially considering some of its cloud storage fails, but the company has made some great leaps in the cloud computing industry. In a way, it is also the one that fueled so much interest for the cloud computing industry through its sale of online books. This amazing tool was designed to enhance the usability and performance of other cloud platforms. It uses a SaaS platform to extract important data and analytics which it then runs through its center. The company, founded in 2011, has 4 CEOs and a funding of 12.5 million dollars. The company’s virtual app attaches to the user’s infrastructure and aggregates data from all the users. This makes it possible for CloudPhysics to determine the good and bad things. Dropbox: Dropox is arguably the most commonly used cloud storage provider. The company is also known for its ingenious referral campaign. New users receive free 2GB of storage and, by inviting new people, they can up their plans. There are also paid options. What I really like about Dropbox is the fact that its folders look exactly like any other folders, making it easy to perform operations such as dragging & dropping new files. Box: We haven’t talked very much about Box thus far, but this doesn’t mean that it isn’t an excellent cloud storage service. By signing up, you receive 10GB for free. The added bonus of Box is its Workflow engine that enables you to automate document routing, as well as collaborators’ actions. Google Drive: It is constantly updating its plans and features. At the moment it is offering unlimited, free storage for all students. While this feature is nice, the thing that truly makes Google Drive unique is its set of free tools, which can be used for spreadsheets, documents, drawings etc. It also has seamless integration with iOS, Android and Windows. VMware: VMware Horizon is definitely the most comprehensive virtualization player out there. It provides remote desktop capabilities, meaning that it can be run with typical Microsoft OS systems (Vista, Windows 7, XP etc.). This doesn’t mean that you have to run the same OS (computers in the data center run Windows 7 and you can run whatever OS you want). What VMware does is offer processing power on steroids for your computer. In other words, all you will be using from your own computer is the keyboard, monitor and mouse. So, if you have huge amounts of data to process or 3D models to render, VMware is the company to choose. Citrix: This company is also a big name in the DaaS category. Unlike VMware, it goes beyond a simple hosted workstation. Citrix also offers great features, such as secure file syncing, sharing services, device management and hosted applications. Microsoft Azure: Some people say that Microsoft’s Azure service is horrible, but, in the end, it boils down to personal preference. This IaaS boasts private storage, predictive analytics and disaster recovery services, among other things. Amazon Web Services: Amazon has become a key player on the IaaS market, especially after cutting some of its basic costs drastically. At the moment, AWS hosts services such as Spotify, virtual Amazon workspaces, and virtual desktops. Red Hat OpenShift: we already mentioned Red Hat earlier, but we have to do it again, because it is one of the key companies on the PaaS market. There are three variations on the service: Online (cloud-based service), Enterprise (from the data center) ad Origin (open source app hosting platform). Heroku: this is Red Hat’s main competitor. The platform was built to support various programming languages. It is appreciated for its ‘dynos’, which are basically virtualized containers for running processes in siloed mediums. Insightly: It offers great CRM SaaS services which integrate seamlessly with Google Apps, Office 365, Outlook and Gmail. In addition to this, Insightly apps can be accessed from mobile iOS and Android devices. The idea was to create a space for customers and their potential business contacts. com: It was one of the first companies to dip its toes in the cloud computing industry. The company also encouraged other developers to develop PaaS services, in order to offer more apps as part of its services. 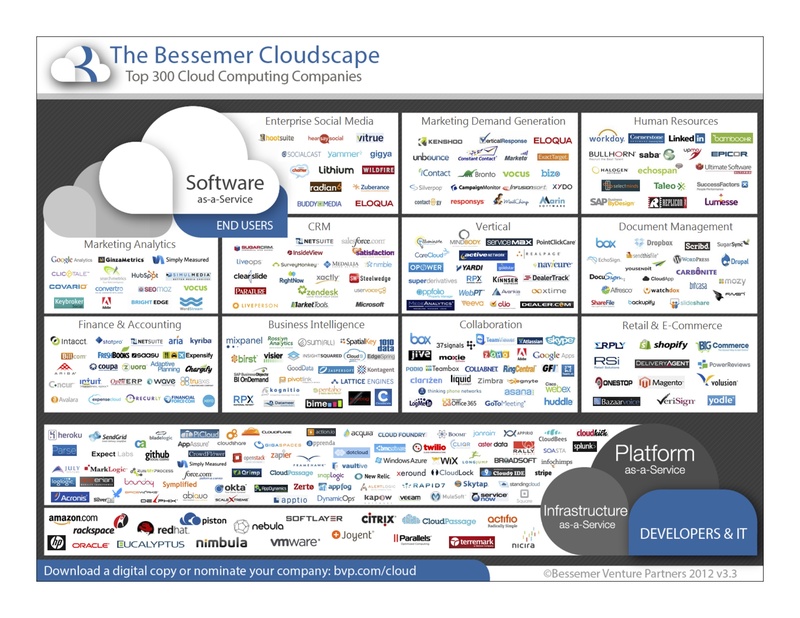 This concludes our list of top cloud computing companies. Of course, there are plenty of other services & companies that you should look out for. You can find a complete list of leading companies & new-comers on NetworkWorld.